The Driving Fear Program – Overcome Your Fear of Driving Today! Your driving anxiety doesn’t need to build limits around your life. Learn how your fear of driving works, where it’s power comes from, and how you can END the cycle and take your freedom back! The Driving Fear Program is the most widely recommended program of it’s kind and was developed by combining the advice of experts and professionals with the experiences of people just like you who successfully overcame their anxiety, panic attacks, and fear while driving. It’s time to take back your freedom. The Driving Fear Program is a comprehensive set of highly specialized resource developed to help you with conquering anxiety, fear, or panic attacks while driving. It’s an affordable step-by-step system you can use conveniently and privately in your own home that shows you how to respond differently to situations that may currently be making you anxious such as driving far from home or outside your “comfort zone”, on the highway, over bridges, in traffic, and much more. The program was developed by combining the research and advice of professionals with the real world experiences of people just like you who successfully overcame their fear of driving. 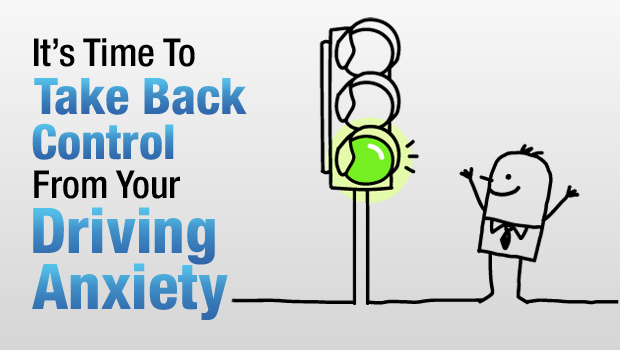 It includes contributions from Doctors of Clinical Psychology, award-wining authors, licensed therapists, and others who can show you how you can learn to drive ANYWHERE with far more freedom, confidence, and security by overcoming the anxiety that may be needlessly holding you back. Make sure you visit our blog, where you can learn more about your fear of driving and anxiety, read how recent scientific and medical research results may effect the treatment of anxiety disorders and phobias, and gain insights and new perspectives from editorial posts about living a life with and WITHOUT anxiety written by doctors, psychologists, university researchers, and people just like you who know what it’s like to struggle with and overcome anxiety and intense fear. Sign up to receive the completely FREE five part email series, “Breaking Through Driving Anxiety” that will help you better understand how your anxiety and panic attacks become so powerful, what you may be doing now that you think is helping but may actually be making your fear WORSE when you drive, what to look for when considering your treatment options and deciding what’s best for YOU and not what only sounds good, and more. Click the link below and get started for free right NOW.